A $1 billion shortfall is the consequence of the state’s failure to update its 25-year-old formula for doling out aid, according to the Massachusetts Budget and Policy Center. Beacon Hill lawmakers have been shortchanging the education of students across Massachusetts by nearly $1 billion a year, causing many school districts to cut teachers, classroom supplies, and technology, according to a report being released Wednesday. The funding shortfall is the consequence of the state’s failure to update its 25-year-old formula for doling out aid to the 322 school districts, which dramatically underestimates what districts are spending annually on education by at least $2.6 billion, according to the report by the left-leaning Massachusetts Budget and Policy Center in Boston. The findings come at the tail end of the legislative session, as the House and Senate have been at odds over how to revamp the state funding formula and increase aid to local systems. They also come as Brockton and Worcester are exploring a lawsuit against the state, arguing that Massachusetts’ failure to adequately fund public education has left enormous gaps between poor and affluent school systems. 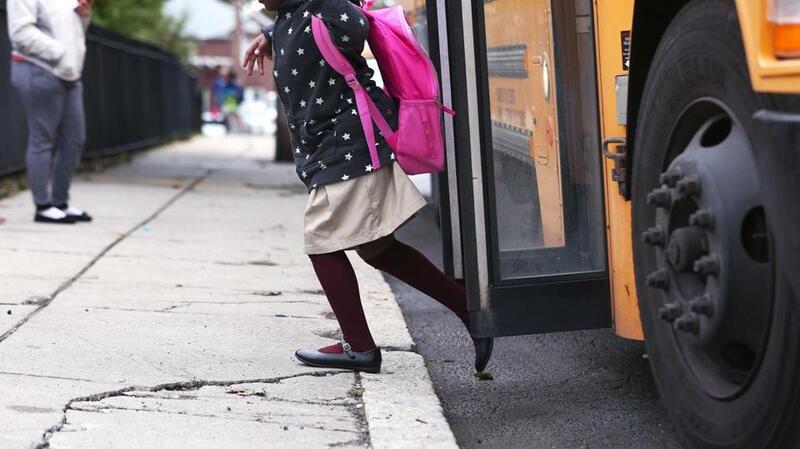 “This new estimate could inject a serious dose of reality in the debate over school funding,” said Glenn Koocher, executive director of the Massachusetts Association of School Committees. MassBudget generated its estimate by looking at two of the big budget busters districts have been grappling with: escalating spending on health insurance benefits and special education services. Previous estimates for those two areas were at $2 billion; the new report pegs that figure at $2.6 billion. The state covers varying portions of school spending in individual districts based on a variety of factors, such as the property and income wealth of a community. The report, like similar ones issued in recent years including one by a legislative commission, also faulted the formula for poorly projecting the costs of providing specialized programs for students living in poverty and those who are trying to gain English fluency. To fully fund the recommendations of the legislative commission would require an additional $888 million annually, the new report determined. The legislative commission recommendations target increased funding for health insurance costs, students with disabilities, English language learners, and low-income students. The report also generated other funding options, including one that is even more expensive, costing $1.1 billion annually. That option would guarantee a minimum amount of state aid to districts, like Boston, where almost all aid currently gets diverted to cover charter-school tuition costs. Boston does not do well under the state formula, primarily because of its enormous property tax base, while enrollment at charter schools has nearly doubled in recent years. The two other options are less expensive — $308 million and $530 million, respectively — but would cover only limited portions of the legislative commission recommendations. MassBudget officials said they hope the proposed options help to guide the legislative debate. It’s unclear whether any of the options will gain traction on Beacon Hill. On Monday, the House and Senate formed a conference committee to iron out differences in school funding bills each chamber passed last week. The Senate has been more aggressive on the issue — endorsing all the recommendations from the legislative commission in its legislation — while the House has been more cautious. That chamber supports funding increases for health insurance and special education right away, but wants to spend the next six months to conduct further analysis of spending on programs that serve low-income students and English language learners. Senator Sonia Chang-Diaz, a Boston Democrat who cochairs the Joint Education Committee, declined to comment through a spokesman, citing a desire to be respectful of the deliberations on the conference committee on which she serves. A day earlier, though, Chang-Diaz took to social media in a video in which she scolded the House for wanting to conduct another study. State Representative Alice Peisch, a Wellesley Democrat who cochairs the Joint Education Committee, declined to comment on the report because she had not read it yet. But she defended the House proposal, noting it would eventually add an estimated $500 million. She also stressed that the bill calls for developing an implementation plan for the measures affecting low-income students and English language learners — after they are costed out — and having it ready for the next budget cycle. Peisch said she is cautiously optimistic about finding a compromise. “I’m very interested in getting this done, and there is tremendous support in both chambers to get this done,” she said. Governor Charlie Baker has not taken a position on the legislation, but a spokesman defended his record on school spending. “The Baker-Polito administration has proposed over half a billion dollars of additional investments for local schools since coming into office, including most recently $150 million for public education and school safety, bringing total funding for K-12 education to over $5 billion, the highest funding level in state history,” said Brendan Moss, press secretary, in a statement, noting some of the money has gone toward addressing health insurance costs. Many education and advocacy organizations are eager for a bill to pass.